What is the product made out of? 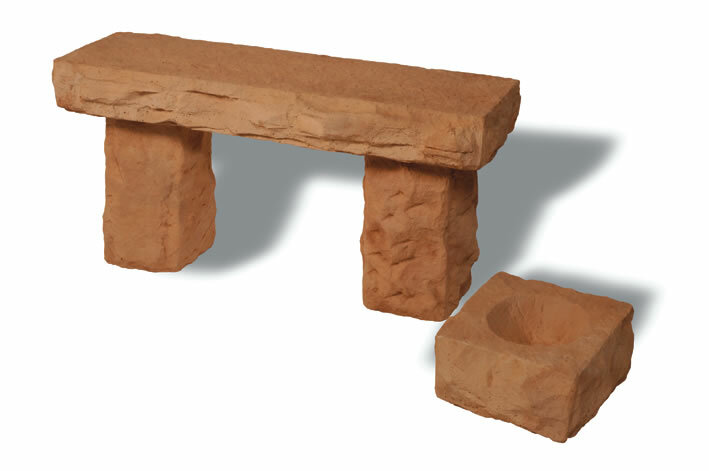 All Revelstone products are cast concrete products – only the very best materials have been sourced to ensure the best possible product – a variety of sands, granite aggregates, iron oxides, and PPC Cement. Must you use tile adhesive to lay tiles? It is the ideal way to lay this type of tile as it adheres well and creates a sufficient bond between tile and concrete base or screeded floor – see laying of tiles instructions. 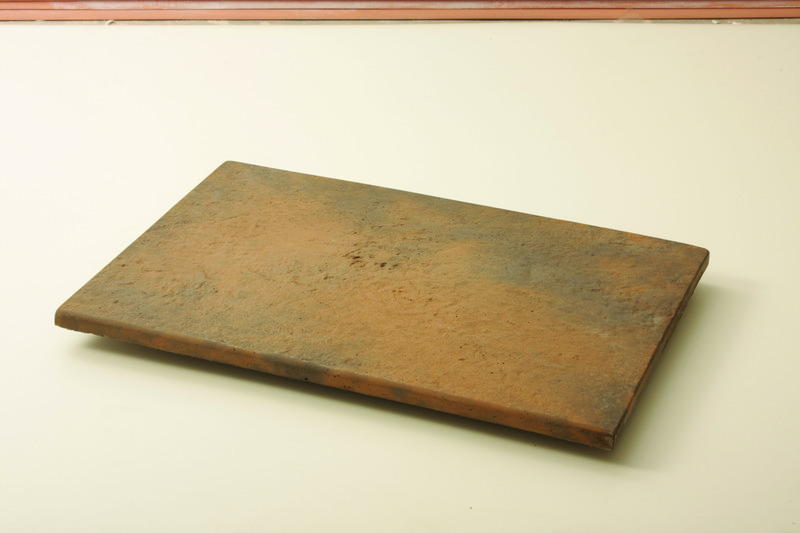 The colour cannot fade over time, all products are manufactured using imported iron oxides. In fact the colour will get better the more wear the product gets. What is efflorescence and how does it affect concrete products? Efflorescence is a common occurrence in all high quality colored concrete products and is mistakenly interpreted as fading or washing out of the colour. An apparent loss of colour is noticed or a milky white bloom is visible on the surface. 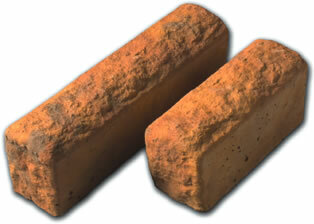 This phenomenon will generally disappear with time depending on location, traffic/ usage, and natural weathering. How can I remove efflorescence or lime bloom from my products? It is advised that acidic cleaning be used only in extreme cases and that natural weathering and time will generally be the best treatment. See cleaning of tiles/ pavers. Will salt chlorinated pools affect the coping? No, all products are suitable to be laid around pools with salt chlorinators and will not be affected by the water. However products will be damaged or stained by acids and other pool chemicals if applied neat to the surface. Can the products be submerged under water? No, product deteriation and discolouring will occur in the longterm. 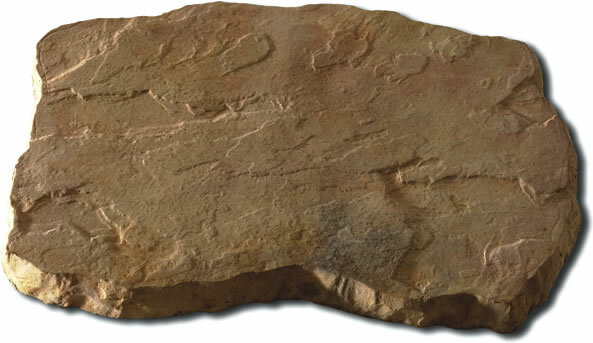 Any water running over the surface for an extended period of time will cause surface erosion. 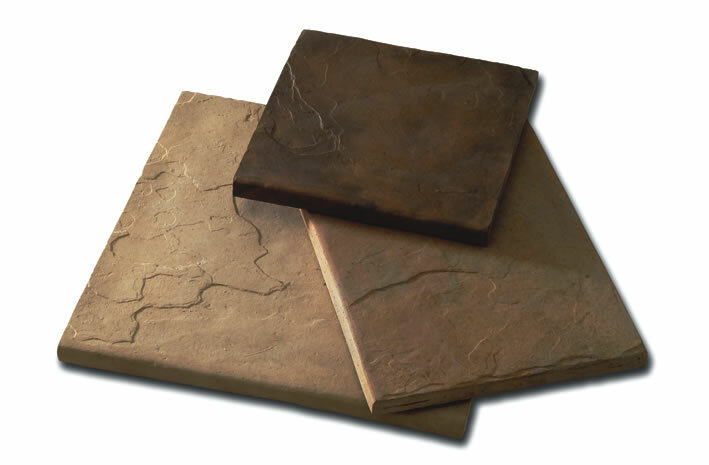 What is the difference between a tile and a paver? 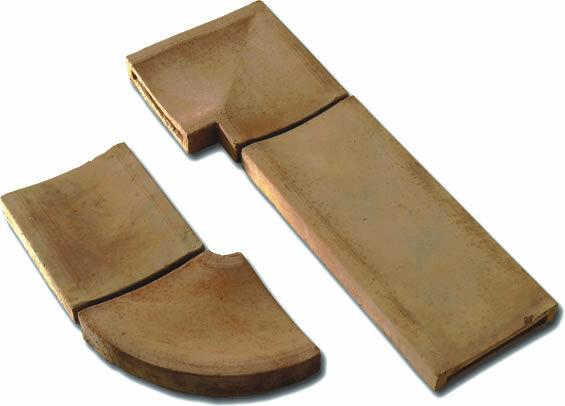 Tile – 15mm to 25mm – requires a concrete base on which to be glued down. 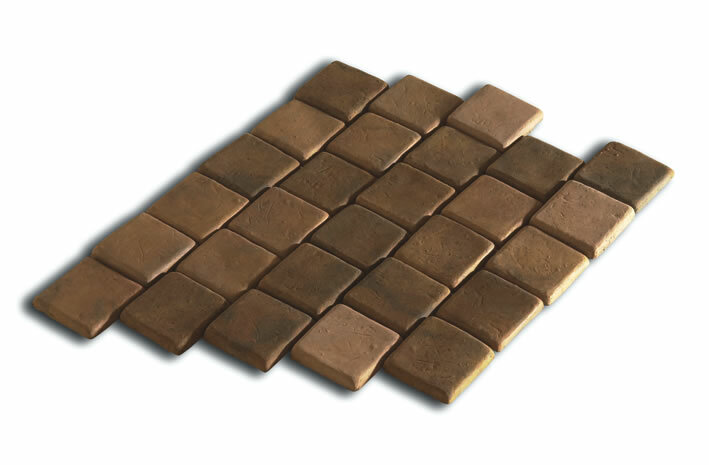 Pavers – 40mm to 55mm – can be laid directly onto a well prepared compacted sub base. see laying of tiles instructions. 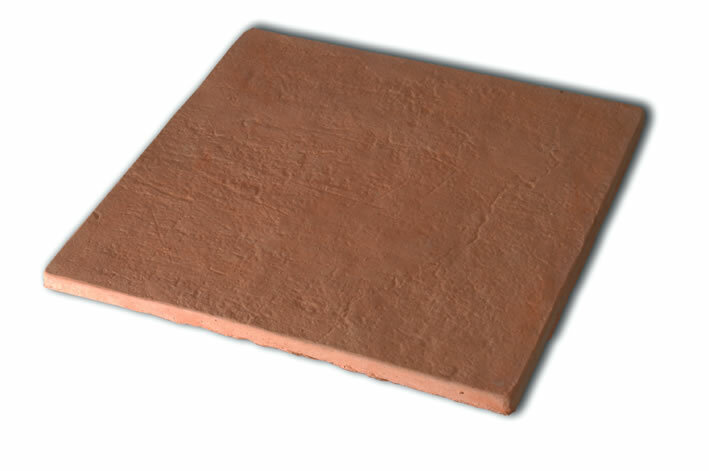 Can any tiler or paver lay this product? 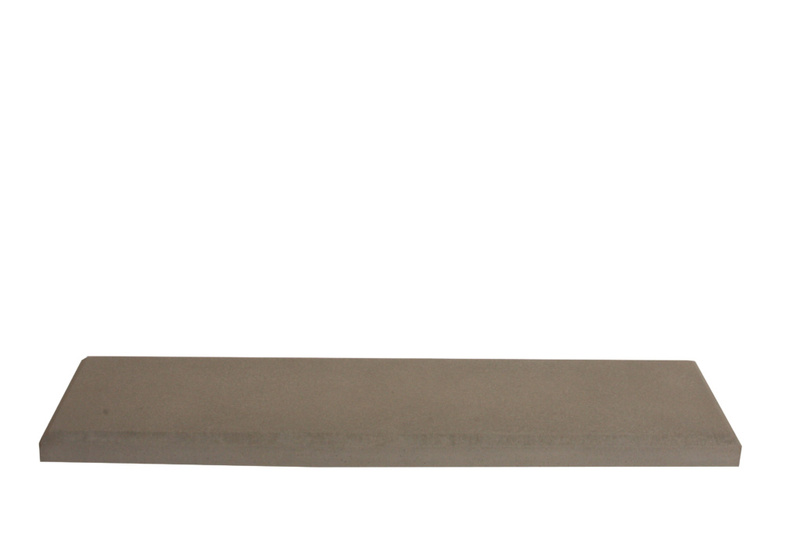 Cast Simulated stone products should only be installed by suitably experienced tillers, pavers or stone masons. 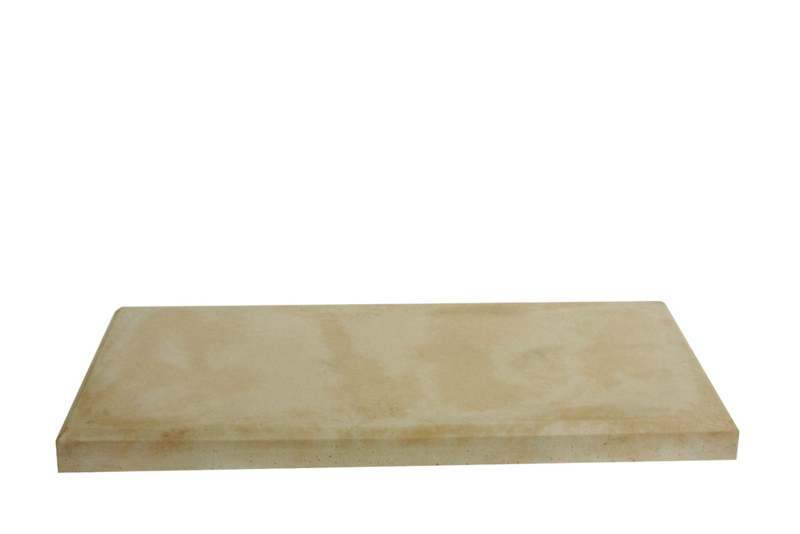 All products carry the natural characteristics of stone where they are non-slip however if sealed they become more slippery especially when wet. Can we get the same colour later? All products are available in any colour (see standard colours list), there is continuity in colour as orders are custom made to order and all colours can be reproduced at any stage in the future. Is the colour just on top? No, all products manufactured are embodied to ensure excellent long term wear and appearance. Why do the paving stones have dark patches? This is due to differential weathering, where the surface of the paving has cured at different rates, causing darker colour variation on the paving surface. Generally this is exaggerated by the presence of efflorescence which, once removed, will reduce the effect of the dark patches. 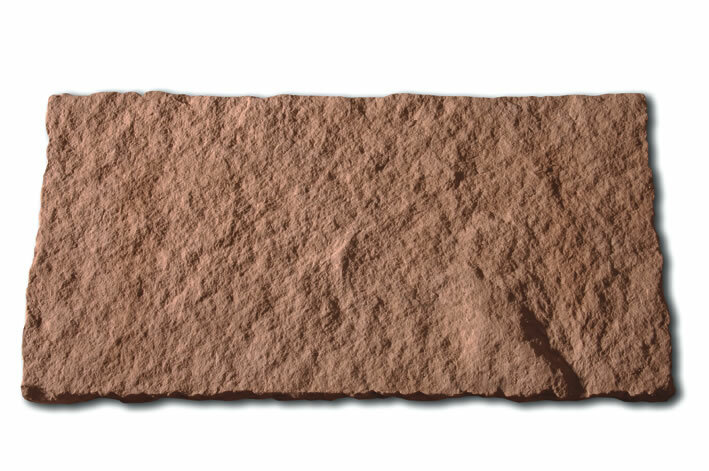 As with efflorescence the dark patches will generally disappear with time. How often should I clean my patio? Regular washing and brushing should be adequate to maintain your patio in pristine condition. However, you may wish to clean your patio using an acidic cleaner. This can enhance its appearance but it may affect long term durability and should only be used sparingly (only two or three times during the lifetime of the product). See cleaning of tiles/ pavers. Can I use a sealant on my patio? 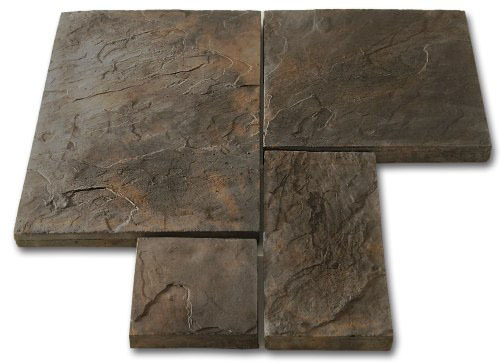 Yes, It is advisable to seal undercover patios as it will protect the tile from household stains and markings. Please note that applying sealant to tiles/ paving will affect the colour (go slightly darker) and decrease the non slip properties that the product has. see Laying & Sealing instructions outdoor. 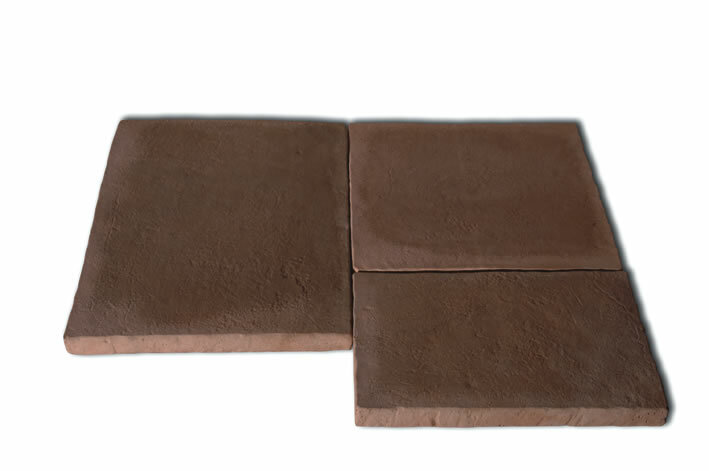 Can I use Revelstone Tiles inside my house? 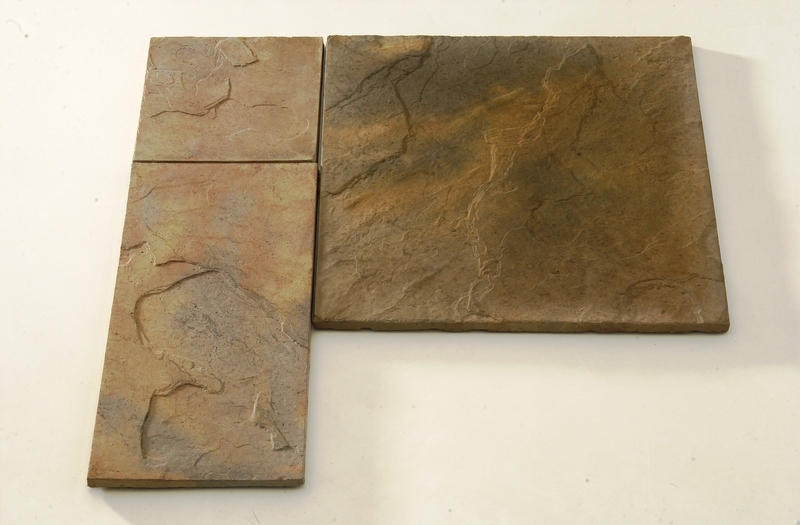 Yes, Revelstone Tiles have been used indoors for years and have many advantages over traditional ceramic and clay tiles however if not maintained correctly they can become stained and unsightly. It is essential to seal and polish in order to maintain its natural appearance. see Laying & Sealing instructions indoor.